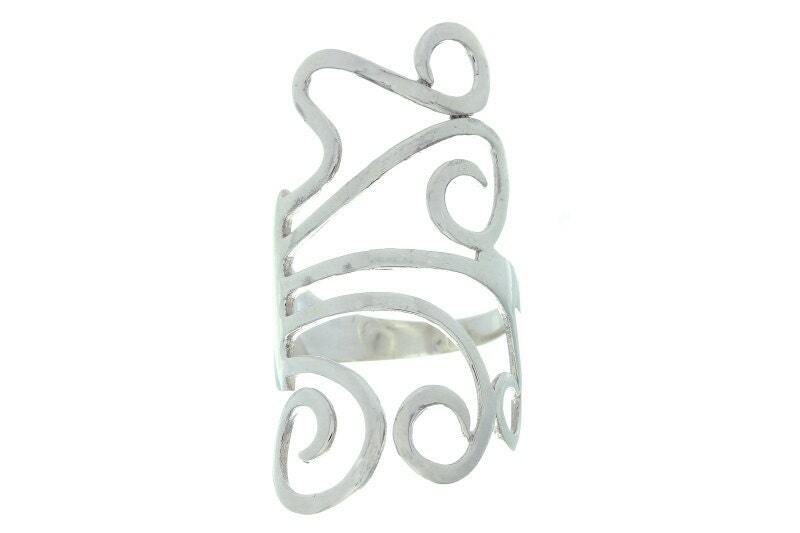 A whimsical fork design sterling silver ring. 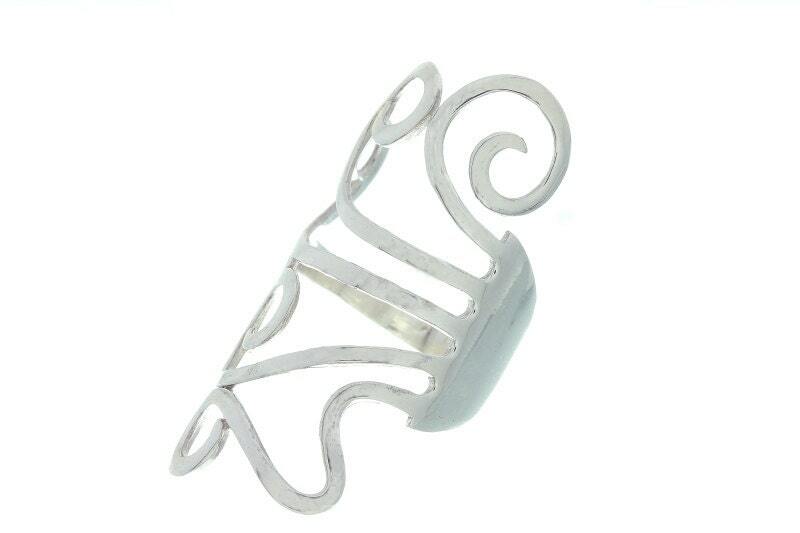 Fun fork design ring that wraps the finger. Spiral finishes. Very artistic ring. Love it!